John Orrick was born in 1827 in Warren Co. TN a few years after his parents Allen Orrick and Martha Hardin migrated down from Hardin Co. KY. 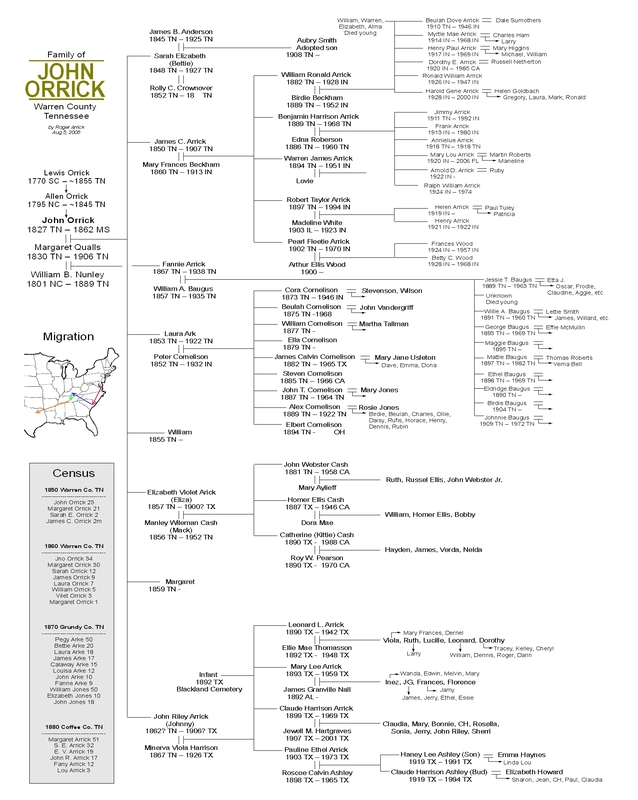 This family of Orricks are a branch of the Maryland Orricks who came from Scotland around 1650, then migrated down to SC/NC, then went west. John's grandparents Lewis and Elizabeth and some of their children also came on the trip to Warren Co.
Allen and Martha had possibly as many as 10 or 12 kids - some of which married and stayed in Warren Co (mostly girls), some moved off and used variations of the name (Orick), and some were killed in the civil war. John Orrick married Margaret Qualls around 1847 and started a family. They lived next to Allen and Martha, with Lewis and others nearby. The exact area they lived in is south of Centertown near Abe Curtis Rd. According to stories, the Orricks had a 2-story dogtrot-style house with a causeway in the middle and a fireplace on each end - Similar to the Vandagriff's house in nearby Cannon co. They had a nice orchard and were hard workers but didn't have much prominence in the local towns. After having 5-7 children, John went off to war beginning at Camp Smartt under Capt E.J. Wood on Sept 6, 1861. John was shot in the chest at the battle of Shiloh April 6, 1862, then taken to a hospital at Corinth, MS where he died on April 24th. Details of these events come from Manley H. Wilson who wrote the story down for Margaret's pension application. Margaret remarried in 1867 to William B. Nunley who's former wife, Sarah Jane Smartt, had died around a year earlier. 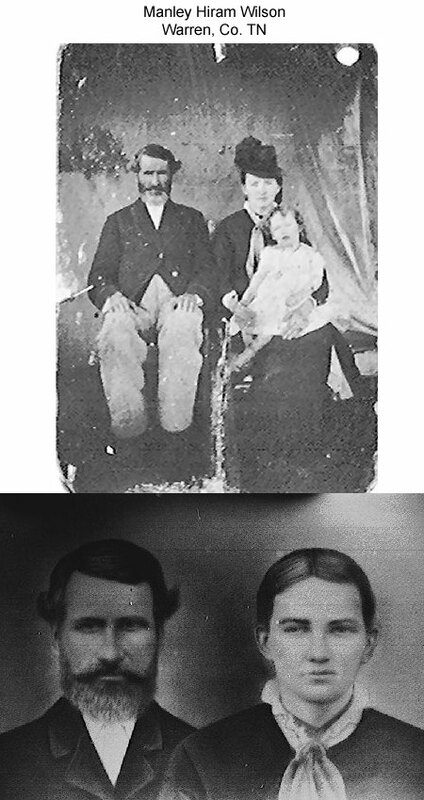 Margaret and Nunley had at least one child together - Fannie. Nunley was a Union man, and Margaret was able to draw off his pension. Because of this, we have a great deal of information about John and Margaret that would otherwise be a mystery. Married: Margaret (1830 TN - 1906 TN) Qualls, unknown burial, probably Coffee Co.
William? - 1855-? is he William Frank Arick of AR? John Riley - 1862?, Married Minerva Viola Harrison, D. 1906? in Kaufman TX? Margaret had at least 1 child with William B. Nunley - Fannie Arrick. Buried: Unknown Probably in a trench or unmarked grave in Corinth MS. 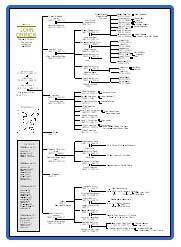 Here is a giant family tree showing John Orrick and family, along with descendants. This chart can be taken to a copy shop and printed on 18x24 paper. Or ask Roger to mail you one. Where is John Orrick Buried? In a trench at Corinth? Moved south? 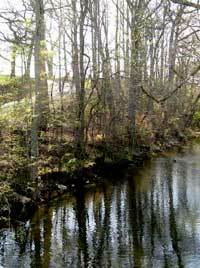 Where is Margaret Arrick/Orrick Nunley buried? Jesse Nunley Cemetery? Who are Margaret Qualls parents? What happened to son William (1855-?)? Is he William Frank Arick of Arkansas? 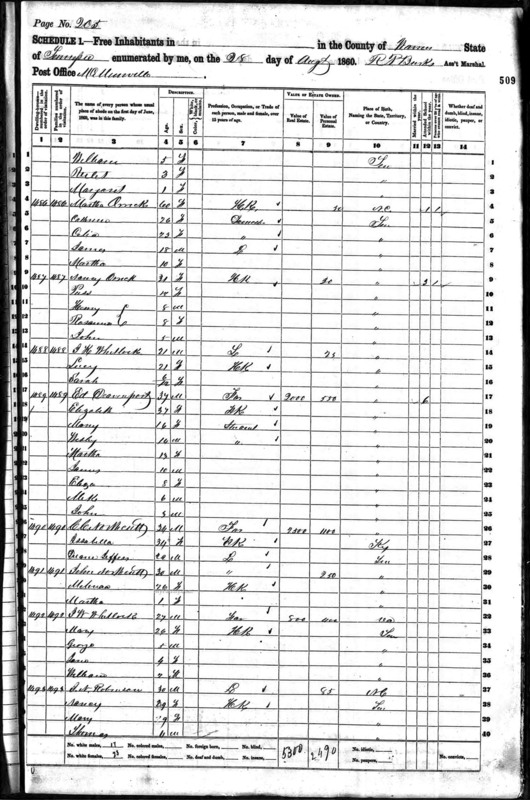 Why is William B. Nunley not shown in the 1870, 1880 census with Margaret? Or is that really William with Margaret in 1870 shown as William Jones? Why does Margaret and even her daughter by William Nunley go by Arrick? If you have answers, please Email me. An incredible amount of information about John Orrick comes from Margaret's pension application against her second husband William B. Nunley's Union service. We are so fortunate to have this info which describes John's name (Arrick/Orrick), what type of wound he got, and his death. Sadly, it does not tell us where he was buried, but likely it was near the hospital in Corinth MS. An eye-witness account of John's wounding is found in Manley H. Wilson's affidavit written in 1895. Pic of Manley. First, it's important to know that John's parents are Orricks, and that the family pronounced the name 'Ark'. Because of this, and the fact that farmers of that time didn't have much use for reading and writing, his name was thought to be Arrick. The evidence for this beyond question. This family, some of which used Ark, Arick, and Arrick, really should be Orrick. After John died from wounds at Shiloh in 1862, Margaret was left with 5-7 children. Sarah Elizabeth was the oldest at 14, and John Riley was possibly not even born yet. The family probably stayed in Warren Co near the other Orricks for a while, but eventually they moved a little bit south towards Grundy and Coffee counties. The county line of Grundy, Warren, and Coffee changed during this time, so it is probable that they stayed in one spot after this initial move and the county line changed around them. Eventually, Margaret married William B. Nunley on 16 Sept 1867 in Grundy Co TN, after his wife Sarah Jane Smartt died 3 June 1866. This marriage seems strange because the father of her children was killed fighting for the south. William fought for the Union's Co E 1st Alabama Vidette Cavalry, and was discharged in 1864. 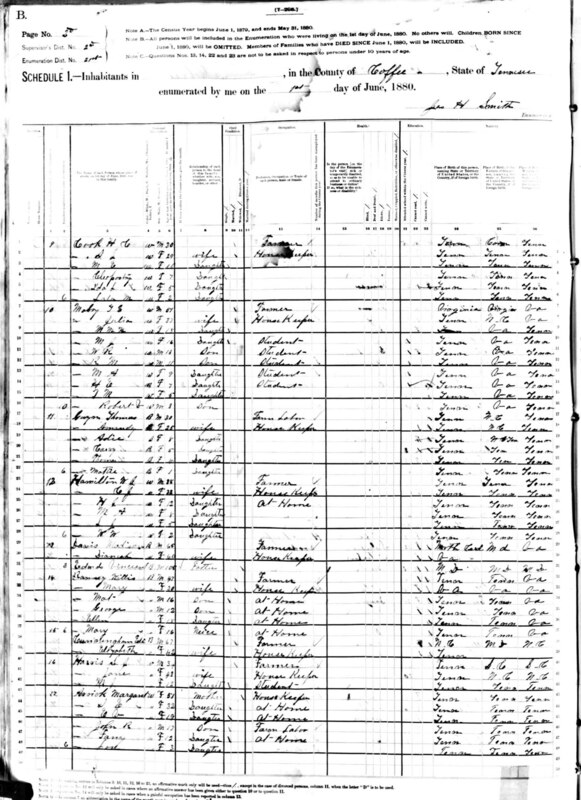 Margaret is shown in the 1870 census (See below) as Margaret Arke, and living with a William Jones. There is one daughter, Fannie, born 1868, who is daughter of Nunley per her death certificate. It's still unclear if this William is really William Nunley, if this is a mistake like much of this census record, or if this is evidence of something more bizarre. For some reason, she insisted on not using the Nunley name. Even Fannie in later life used the Arrick name. 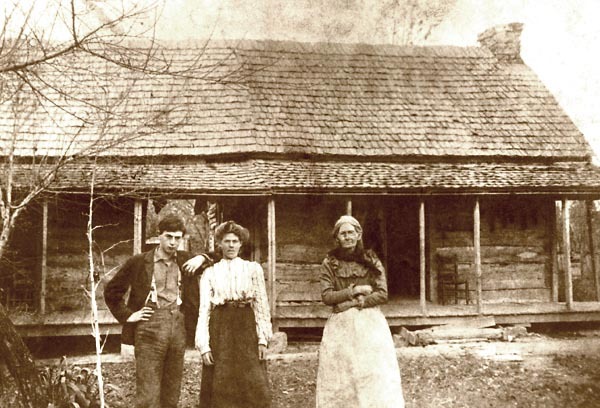 In 1880, Margaret and kids are shown in Coffee county and she is listed as 'Arrick'. A small child age 3 is shown. If this is correct, it can't be a child of John Orrick. Oldest daughters Sarah and Elizabeth Violet are not thought to have any kids at this time. William B. Nunley died on 15th Dec 1889 and is supposedly buried in the Jesse Nunley Cemetery in Grundy Co TN. This cemetery is on private property and requires permission to reach. We haven't been able to get pictures yet. In 1891, Margaret applied for a pension against Nunley's service. It appears that her initial application was rejected, and later in 1895 she applied again with a copious amount of documentation about her first husband John Orrick including affidavits from family and friends. These documents were filed in Hillsboro TN. See the pension documents (6mb PDF). Affidavit of A.A. Knott (b 1829), neighbor, written 11 July 1895 at Margaret's home in Coffee co. 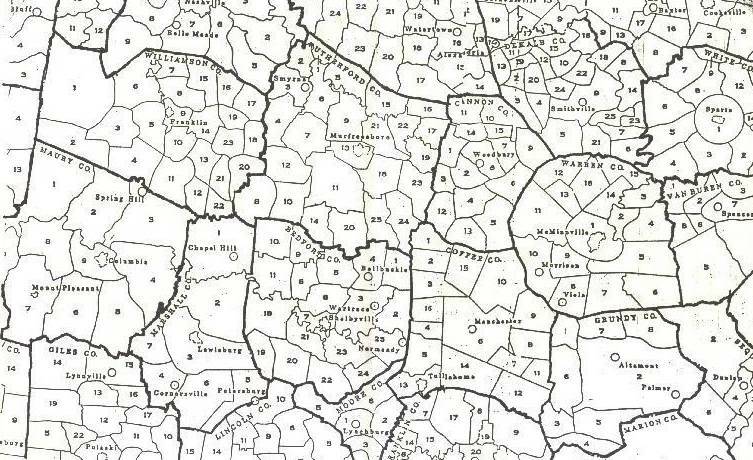 In 1806 White county was created out of Jackson and Smith counties. In 1807 Warren was created out of White. In 1836 Cannon was created out of Warren and Wilson. In 1836 Coffee was created out of Warren and Wilson. In 1837 DeKalb was created out of Warren, Cannon and White. In 1840 Van Buren was created out of Warren and White. In 1844 Grundy was created out of Warren County. District Map of Warren and surrounding counties. This shows the obvious transcription problem of A's and O's. The field worker went house-to-house collecting data. Often the name was just written as pronounced. At the end of the day, or possibly days later, the notes were written formally on the census forms. Then, decades or centuries later an operator keyed the data into a computer database. Each of these steps is a source of error. In many cases, the name is written as 'Orrick' by the census enumerator, then keyed into the computer as 'Arrick'. In other cases, the name was entered as 'Ark' because that's how it was pronounced. 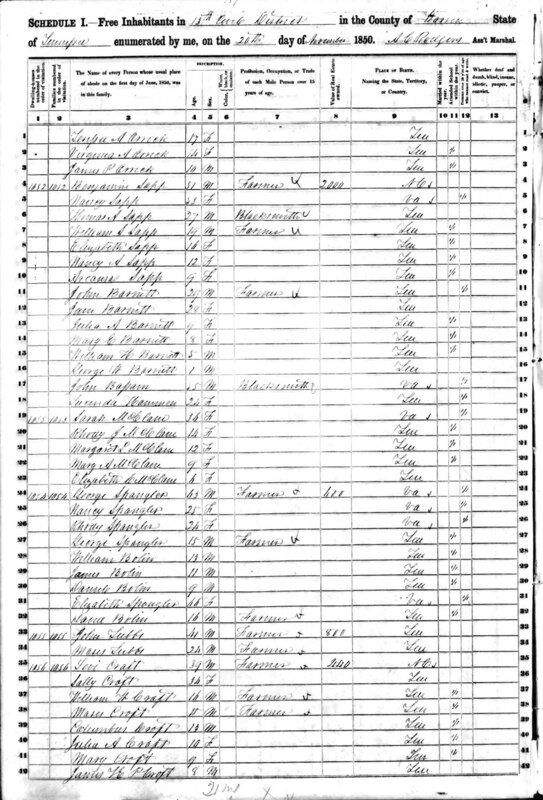 It appears that more recent census names are recorded with more precision and care than those in the 1800's and before. 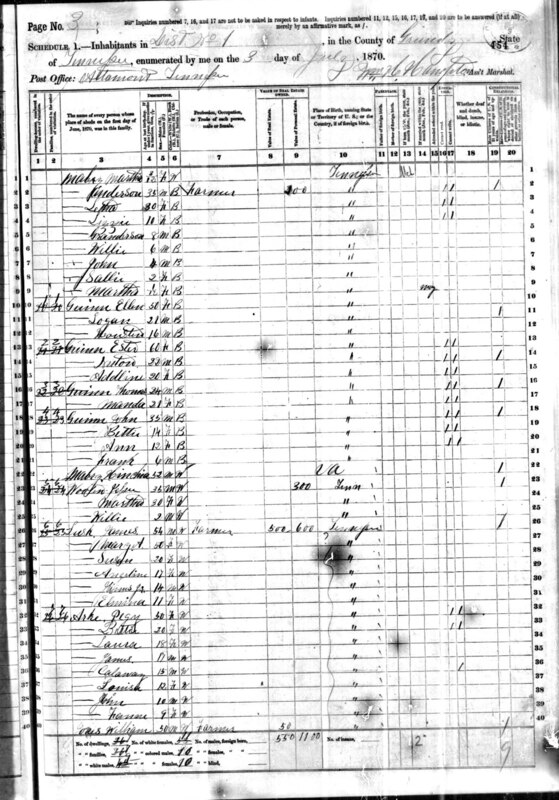 Here is John's mother Martha and some of her kids in then census not far away. A list of all 80 Arrick in the 1850 census. 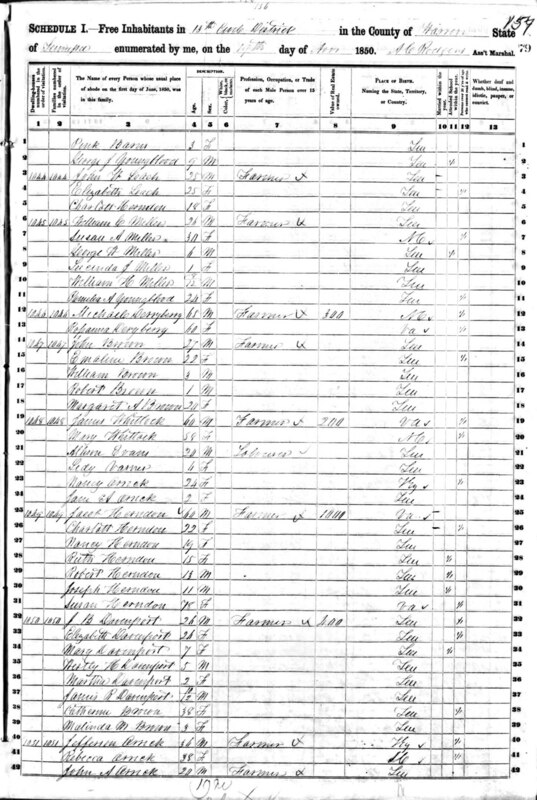 A list of all 86 Aricks in the 1850 census. A list of all 155 Orricks in the 1850 census. 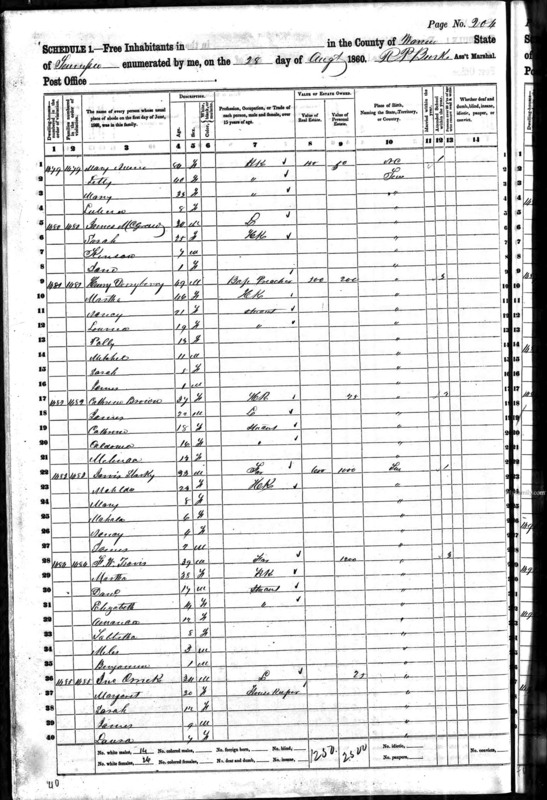 A list of all 71 Oricks in the 1850 census. In addition to this, there are 8 Orics (mostly in KY), 41 Arks (many in NY), 10 Orecks (mostly in AL). Not all of these are entered correctly, so the census original must be looked at to decide for each one. He wrote 'Orrick', but the transcribers for Ancestry.com keyed in 'Arrick'. To complicate matters, here are 86 people with the last name 'Arick'. 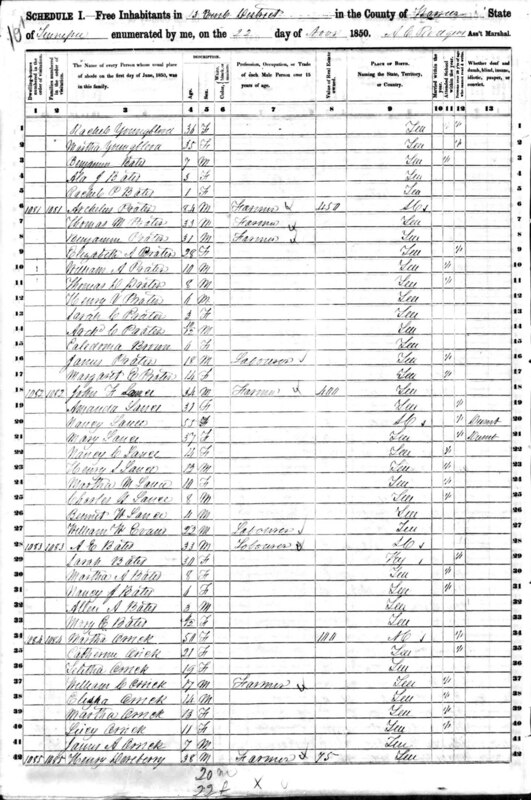 census page 1 at the bottom, census page 2 at the top. Martha 60, is Allen Orrick's wife, John Orricks mother. Catherine, Celia, James, and Martha 10 are the children of Allen and Martha 60. Nancy is also one of the kids, but shows no husband, only kids with the Orrick name. Here is a list of all 53 Arricks in the 1860 census. The 1870 census is a big mess. It's as if the census taker had to ask a neighbor about the names and ages of the Orrick family. The family of 6+ kids had lost their young Father in the civil war, and Margaret remarried to William B. Nunley. 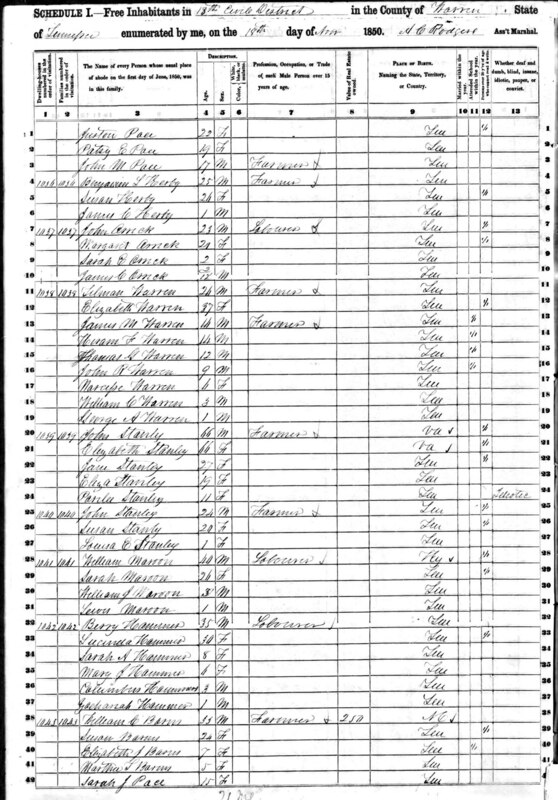 Here is the family in the census (at the bottom). is listed below them in the same house. At this time, Margaret(Peggy), was married to William B. Nunley, but he is not found, or the census taker wrote Jones instead of Nunley. Why Margaret is shown still as Arke while she was clearly married to Nunley per the Pension application remains a mystery. It is possible she insisted on going by her first husband's name to honor him. Questions remain about Calaway - is it a mistranslation of William? ; Louise - is this really Elizabeth Violet? Here is a list of all 55 Arricks in the 1870 census. 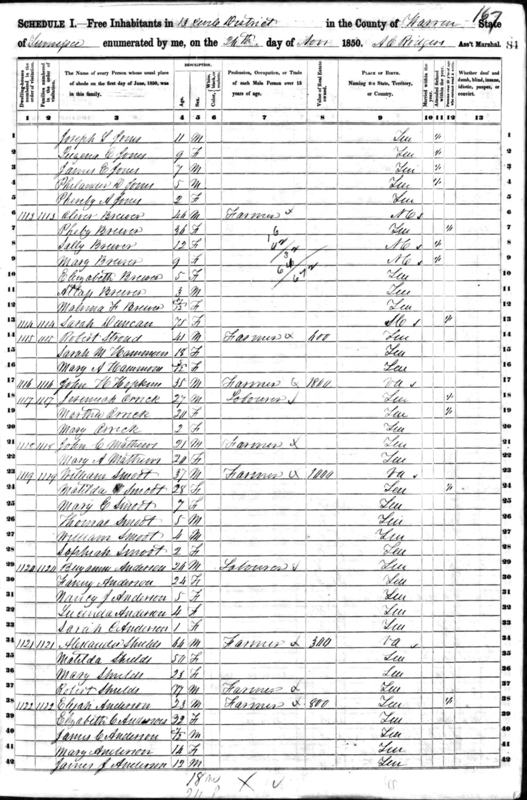 Here is the Arrick family in Coffee Co, TN - June 1880 Census at the bottom. William B. Nunley is not found, even though he is said to have lived until 1889 and remained married to Margaret. Arrick, Lori or Lou, (F) age 3 (b abt 1877) -- Couldn't be dau. of John Orrick at this age. Questions remain about who Lori/Lou is and what happened to daughter Margaret. Here is a list of all 77 Arricks in the 1880 census. According to the pension application, Margaret died in 1906. Unknown burial location. Fannie is the last one left that we know of. Grandkids are now found in TN, TX, and elsewhere.